On the top of the World...: Wittians off to Space!! 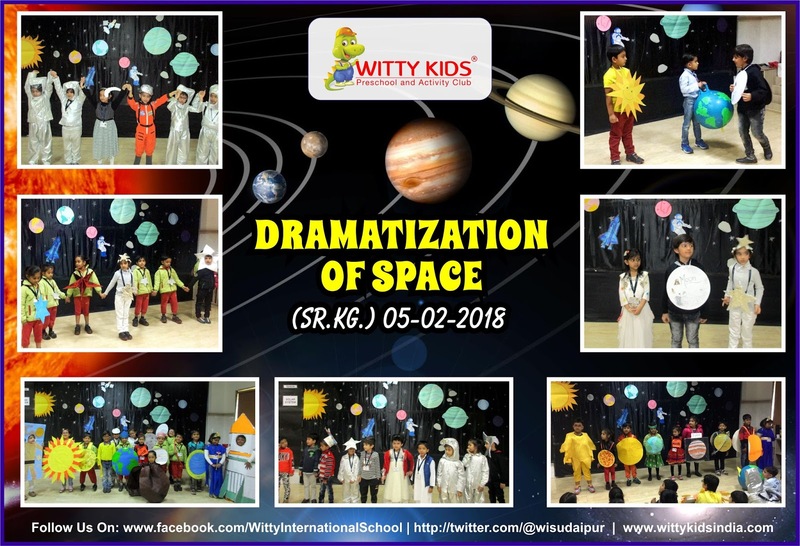 On Monday, 05th February, 2018 Wittians of Sr.KG at Witty International School, Udaipur enjoyed the dramatization on the theme Space. 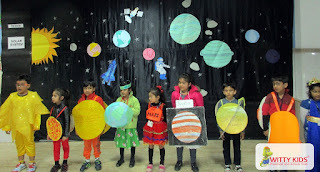 They dramatized to be The Sun, The Moon, Stars, Planets, Astronaut, Asteroids, Satellite and Rocket. 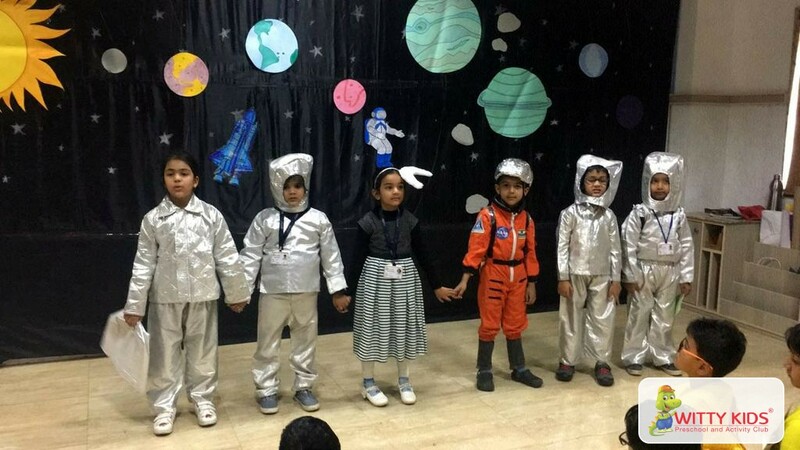 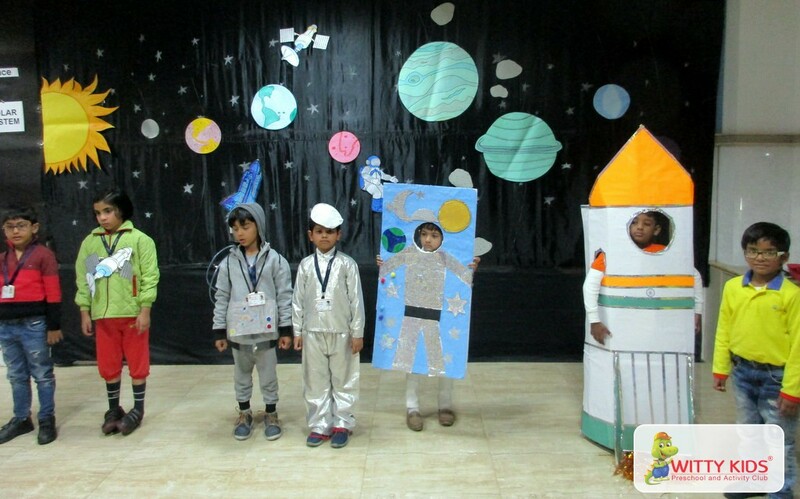 They also came dressed as Titan, Saturn’s biggest moon, Ganymede, the largest moon in the solar system also known as Galilean satellite and the Martian moons of Mars, Phobos and Deimos also known as captured Asteroids , Children enjoyed sharing their knowledge and eagerly listened to the information given by the teachers. They also answered the questions asked by the teacher. Indeed it was an interactive dramatization, rightly said to be a curriculum based fun learning activity.